Does your tribe have a sweet tooth? Looking for something next level for dessert? We’ve found some pretty decadent dessert options to treat the tribe in Sydney. The dessert menu at Milky Lane is so mouth-watering, you’ll find it tough to choose just one thing to order. Their milky-shakes are a sweet treat worth visiting for alone! The Get Minted shake has choc mint ice cream blended with mint slice biscuits. On the rim you’ll find green vanilla frosting, Mentos and Coco Pops. Then it’s topped with cookie dough cup with mint cream, Mint Slice, Mint Aero, Kit Kats and mint green foam. Or the Unicorn is a soft serve, Oreo and Funfetti shake topped with cupcakes and Belgian waffles. 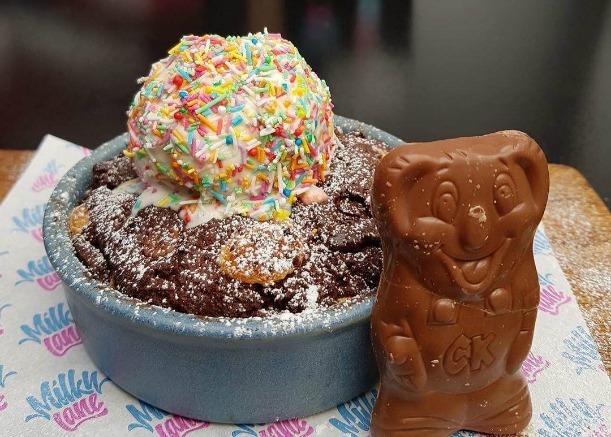 If you are after something scrumptious to eat, the Baked Choc Chip Cookie-Dough filled with Caramello Koala, marshmallow and shortbread and topped with gelato and Funfetti is an absolute must to try! 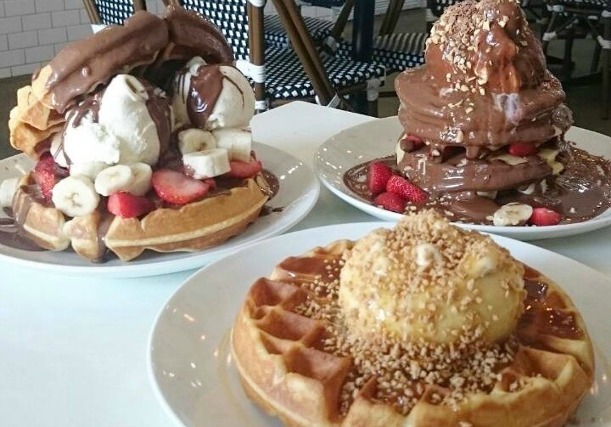 Pick your poison – waffles, pancakes or ice cream sundaes! Whatever you choose, it’s sure to come coupled with delicious Nutella! The waffle burger is a popular choice with bananas, fresh strawberries and ice cream, drizzled with warm Nutella and wedged between two waffles. Or perhaps you prefer Tim Tam topped crepes, red velvet waffles or a Gay Time waffle with hot caramel sauce, crushed nuts and ice cream! This is no ordinary ice cream shop. Aqua S has developed some of the most delicious flavoured soft serve ice creams for young and old to enjoy. For the kids, there’s the bright purple Grape flavoured soft serve, or the sweet Creme Brûlée or everyone’s favourite – Belgian Chocolate. For the more adventurous tribe members there’s Pistachio and Lemon Tea, Matcha Latte and Sea Salt which is their signature blue soft serve. As the weather starts to warm up, Aqua S is a great option for a sweet treat for the fam. This is Australia’s only honey dessert bar! All of the products and desserts in the shop are made from Australian and New Zealand made honey only and they’re all down right delish! The smoothies and drinks come with a fresh honeycomb chip on top of them, with flavours including blueberry, strawberry and banana. 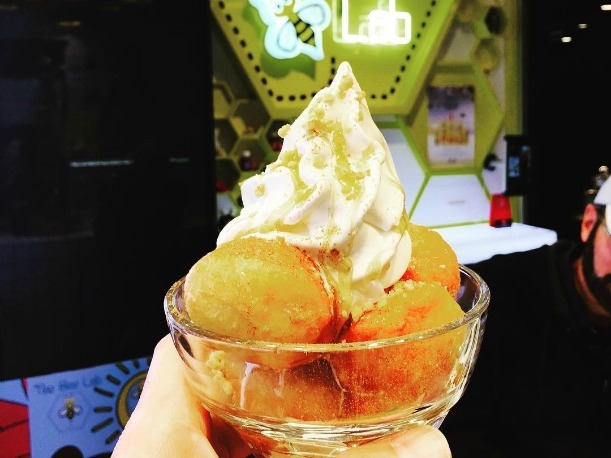 Or you can grab a honey flavoured soft serve with options such as honey and cinnamon, salted caramel and honey, honey and ginger or chocolate honey matcha. Yum! This is where the original Gelato Messina was established – only now you can book in for a seven course degustation of delightful Messina desserts! 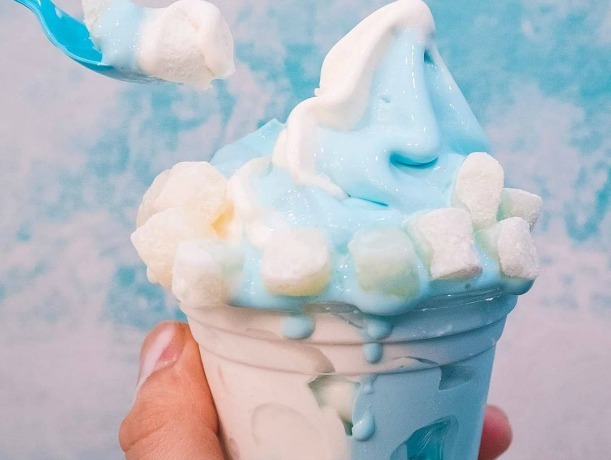 Like any degustation, the servings are paired with fancy drinks and the tastes aren’t your typical ice cream flavours, but something that will no doubt blow your mind! At $130 a head, this might be one to do with your significant other and book a babysitter for the tribe while you have a night off. You can always bring home a tub of gelato for the kids if they complain that you got to eat ice cream for dinner. 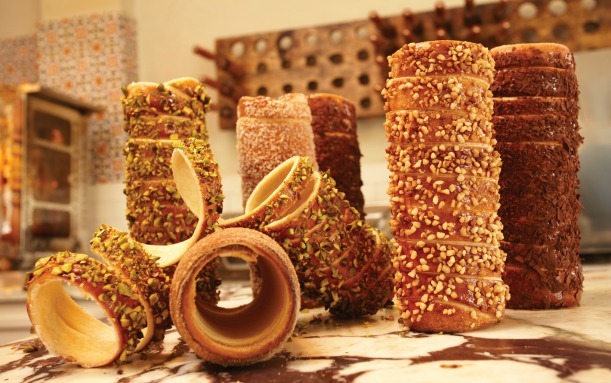 Kurtosh House is the home of the famous Hungarian chimney cake otherwise known as ‘Kurtosh’. You will find all kinds of delicious pastries and cakes at Kurtosh House, but it would be remiss to visit and not try the signature dessert. Kurtosh has a caramelised krispy outer layer while the inside is soft and sweet. Watching them being made by the pastry chefs is half the fun of visiting Kurtosh House. 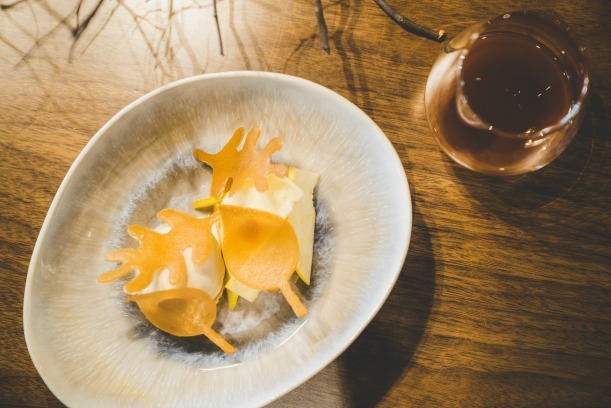 Have you found somewhere in Sydney with delicious desserts the tribe loved? Click here to find more of our fave sweet spots in Australia.